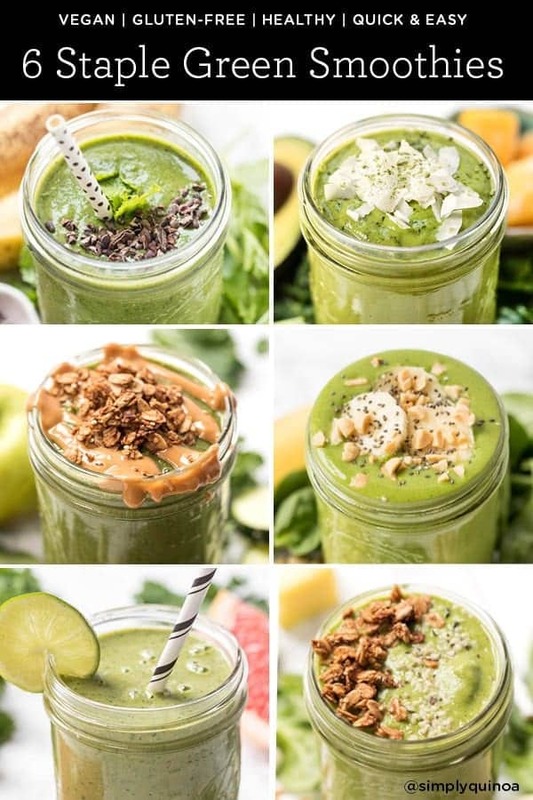 Here are six amazing green smoothie recipes that are perfect for any taste bud. 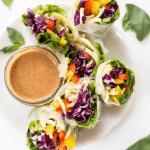 Filled with fruits, veggies and nutrients, they're satisfying and delicious! By now you probably know…I'm obsessed with smoothies. I drink a smoothie every single day and I seriously love it. 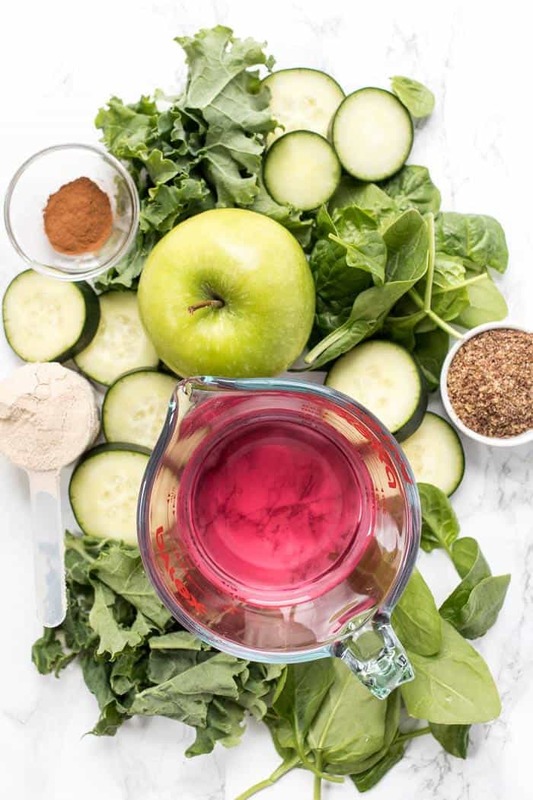 Smoothies are not only a really quick and easy breakfast idea, but they're also a great way to flood your body with nutrients while still being easy on your digestion. Green smoothies are my jam. Since I don't personally find greens to have all that much flavor, I always add some sort of green into my smoothie. 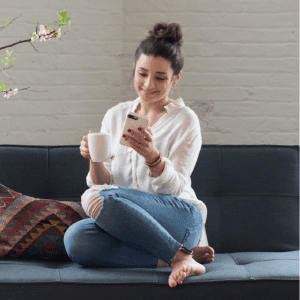 But I know for some, the green smoothie lifestyle can feel like a little much. To me, the benefits of green smoothies are endless. I already mentioned a few of the reasons why I love them and drink them on a daily basis, but if you're still not convinced, check this out. 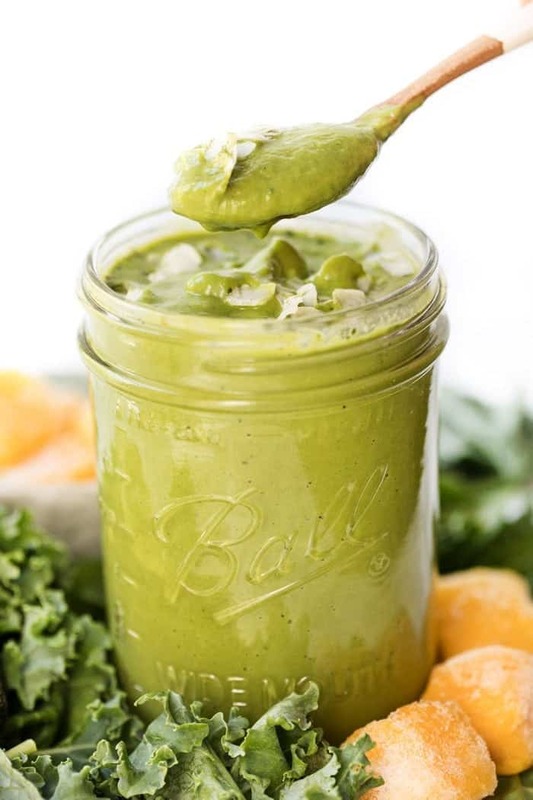 There are endless flavor possibilities when it comes to green smoothies! Essentially just take your favorite smoothie recipe and add a handful of greens and that's a green smoothie. But there can also be a delicate balance if you're new to this idea of veggies in your smoothies. Too much and it might not taste that great for you. I tried my best to create as many different flavor ideas as possible, using some fun combos and a few that are classic. But before we dive into our green smoothie recipes, I want to quickly share the tools I use for making these cuties! 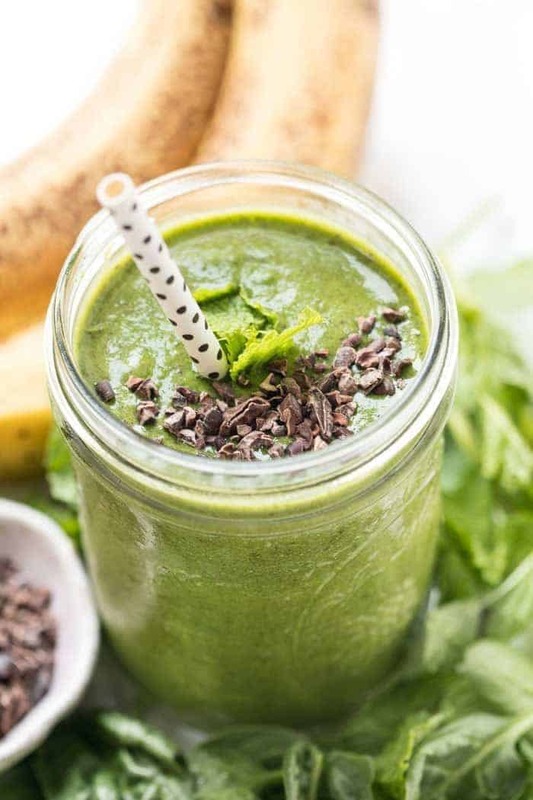 A simple, classic and totally delicious green smoothie that's also banana-free! 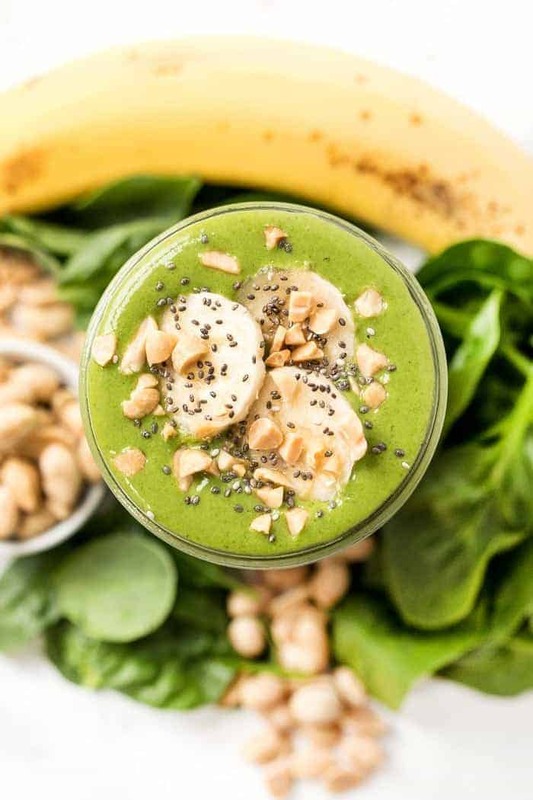 There are actually a lot of people who are allergic to bananas, so this is my go-to green smoothie recipe if that's you. 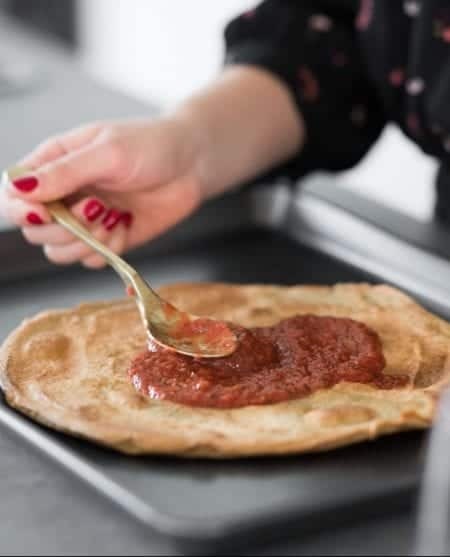 It's creamy, it's not too sweet and it's super high in fiber. I love adding in a little vanilla protein powder to make it a full breakfast – it keeps me full all morning long! Add all the ingredients into a blender in the order listed and blen on high until smooth and creamy. 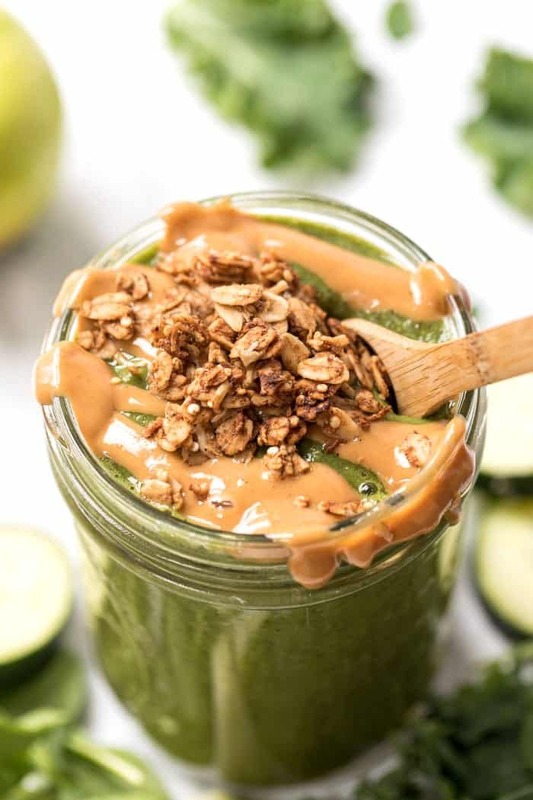 Pour into a glass or jar and top with a drizzle of peanut butter and sprinkle of granola! Add all the ingredients to a blender in the order listed. Blend on high until smooth and creamy. Pour into a glass, top with coconut flakes (if using) and enjoy! If I had to choose, I think this would be my favorite on the list. 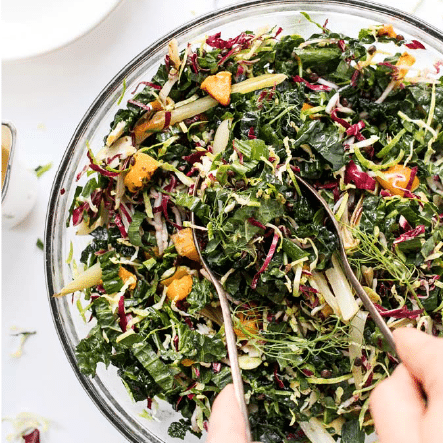 I love the sweetness from the pineapple, adore the creamy texture and it's such a great way to sneak in even more veggies! 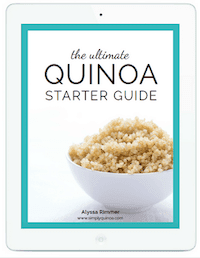 It's packed with nutrients, sneaks in three types of veggies and tastes amazing! This smoothie is inspired by my favorite healthy cocktail: grapefruit margaritas! 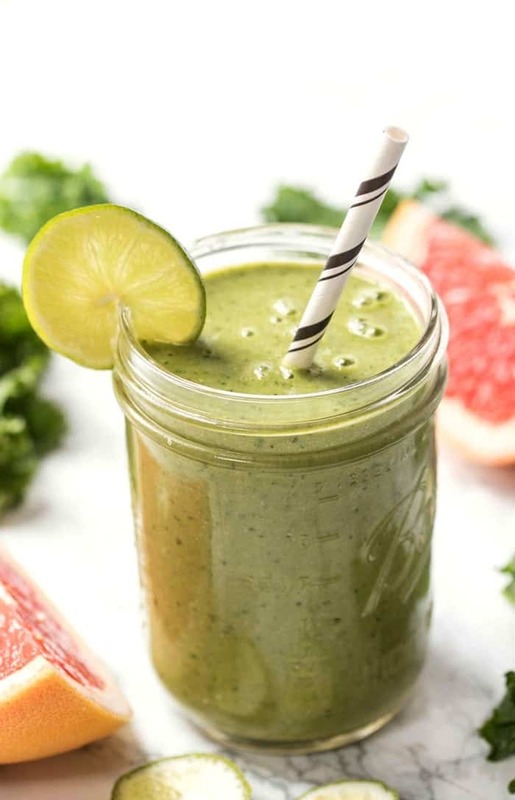 Of course, I don't want cocktails first thing in the morning, so I decided to recreate those flavors with and put them into a luscious green smoothie. This recipe is bright, flavorful, tangy and such a great way to start the day! Add all ingredients into a blender in the order listed. Blend on high until smooth and creamy. Pour into glasses and enjoy immediately. I never used to be a mint person, but now I'm FULLY on board, especially if it has chocolate involved! This smoothie got me there and it's absolutely delicious. It reminds me of a creamy mint chip ice cream, but of course, it's perfect for breakfast. I love adding in frozen cauliflower to reduce the sugar content, but if that sounds strange to you, feel free to just use more banana! 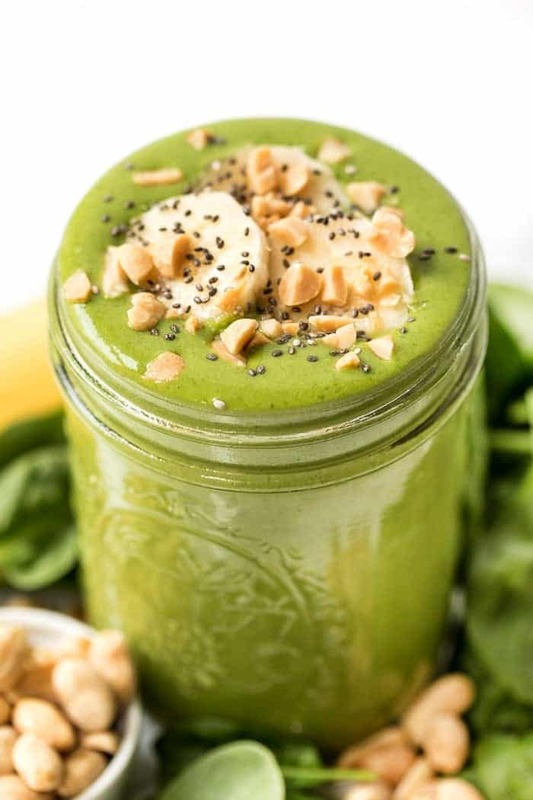 Add all ingredients to a blender and blend on high until smooth and creamy. Pour into a jar and top with a few more cacao nibs and a sprig of fresh mint. Does it get any better than peanut butter?! Honestly this has been one of my go-to smoothie recipes for years. 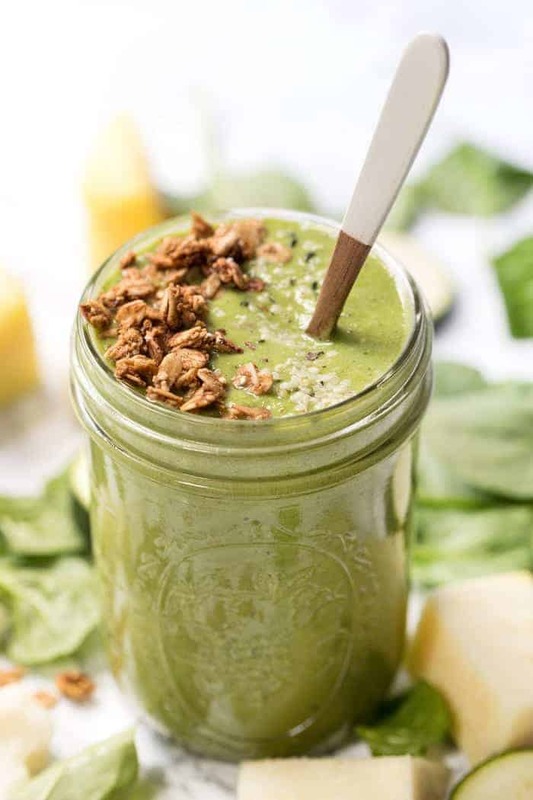 It was the first green smoothie that I fell in love with and still is the one that I tell people to make if they're new to this “green drink” game. It's creamy, it's sweet and it's full of rich peanut butter flavor. Just scrumptious! Add all ingredients into a blender in the order listed and blend on high until smooth and creamy! 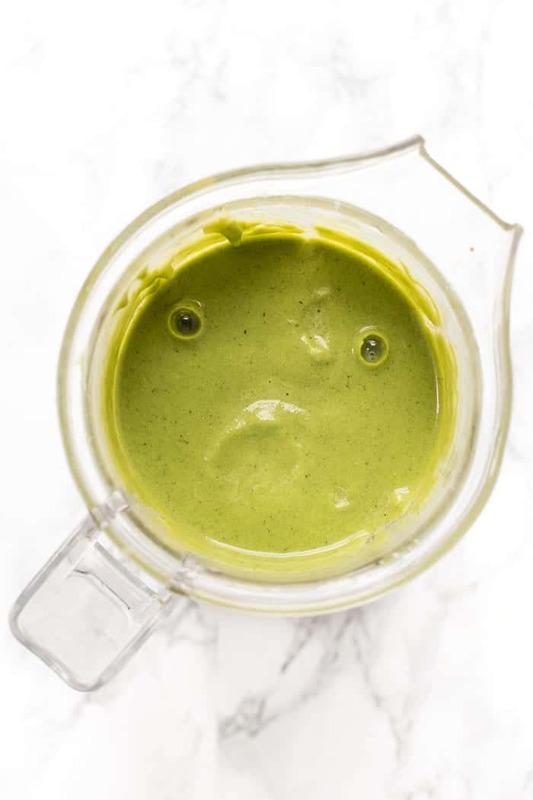 Hey girlfriend I think you made a typo on the description of the peanut butter banana green smoothie <3 I love love love all of these flavor combinations and can't wait to try them!